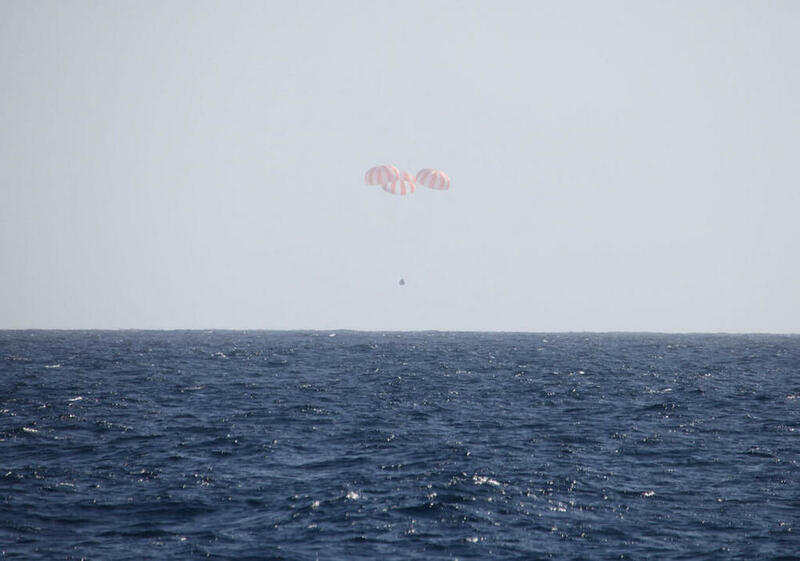 The Dragon spacecraft, by private company SpaceX, has successfully left the International Space Station and splashed down for landing in the ocean! These missions will continue for the next few years and eventually manned space flight will return to US soil. Check out this panorama of the inside of the craft! Investigations included among the returned cargo could aid in food production during future long-duration space missions and enhance crop production on Earth. Others could help in the development of more efficient solar cells, detergents and semiconductor-based electronics. Among the returned investigations was the Coarsening in Solid-Liquid Mixtures (CSLM-3) experiment, which also launched to space aboard this Dragon. CLSM-3 studies how crystals known as dendrites form as a metal alloy becomes solid. The research could help engineers develop stronger materials for use in automobile, aircraft and spacecraft parts. Dragon also is returning several human research samples that will help scientists continue to examine how the human body reacts to long-term spaceflight. The results will have implications for future space exploration and direct benefits here on Earth.